Rin and Len Kagamine custom Converse. 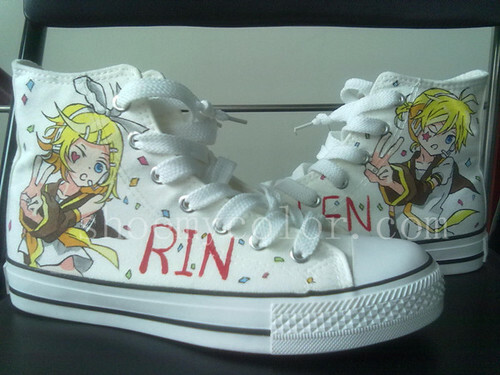 Rin and Len Kagamine hand painted on converse, choose oder customized the fashion canvas shoes on www.shoemycolor.com. Wallpaper and background images in the Rin und Len Kagamine club tagged: rin kagamine len twincest customize converse canvas shoes hand painted shoes anime shoes personalized shoes fashion. Where did you get those?! Love them!